Do you ever wish you could erase the poor health choices you’ve made in the past, and start over with a fresh start? With Dr. Mike, YOU get a Do-Over! It doesn’t matter what you’ve done in your past. You can change your habits, reverse the damage, and get a new beginning. Dr. Michael Roizen, Chief Wellness Officer at Cleveland Clinic, co-author of the YOU: Owner’s Manual series, and dubbed “The Enforcer” on the Dr. Oz Show is back with life-changing medical advice aimed to help people turn their health around. 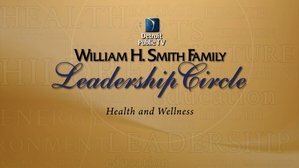 In the 60-minute national PBS program, Dr. Mike reveals the 5 Do-Over Deeds that are the secret to losing weight, living longer, keeping your brain functioning, maintaining a healthy relationship in the bedroom, and finding total-body wellness. This is Your Do-Over is a second chance to change YOUR health destiny, and live a life with energy, happiness and wellness. If you look at today’s health statistics, you’d have reason to believe that most of us are in some deep, deep trouble. More than one-third of American adults are obese and two-thirds are overweight or obese. Nearly one-third of Americans will have diabetes by the year 2050 if current trends continue. About 600,000 die of heart disease every year, consisting of nearly a quarter of all deaths. There are a predicted 1.6 million new cases of cancer that will be reported in 2014. The scariest part is perhaps that even if you’re not one of those statistics, you could well be on your way. We’re a society that eats too much, moves too little, stresses all the time, and doesn’t get enough sleep. Unfortunately, we’re trending in the wrong direction. But the real truth doesn’t lie in those numbers. The real truth lies in this fact: it’s not too late for you to grab your do-over. No matter what kind of lifestyle you have led, no matter what bad habits you may have, no matter if you’re a smoker or a marshmallow addict, you have the ability to get on track, start over, and reboot your body so that you can live a healthy life. The science shows that just like you can change directions in a car, you can change the function of your genes through lifestyle choices. All you need are the tools to do so. In This is YOUR Do-Over, Dr. Michael Roizen bolts down all that he has learned in the most important areas of wellness, and teaches you the 5 Do-Over Deeds that are the recipe for a better life. These are the tools to help you start over, whether you have one bad habit to change or need an entire life overhaul. Using the most cutting-edge data, anecdotes of those he’s worked with, and the advice that has worked for the thousands that he has personally coached, Dr. Mike provides the formula for a simple yet effective Do-Over in YOUR life.